Oregon’s Health Insurance Exchange, named Cover Oregon, received conditional approval from the Centers for Medicare & Medicaid Services to begin operating later this year. The exchange is designed to provide information about the quality, cost, and accessibility of the participating plans to small employers and individual insurance plan purchasers in a transparent way that makes each plan’s benefits package easy to compare so that consumers can make an informed decision. 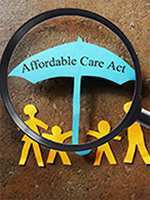 Based on the Affordable Care Act, health insurance exchanges are designed to offer uninsured or underinsured Americans subsidized health insurance coverage. The Executive Director of the exchange has reported that of 16 carriers who have expressed intention to participate in the exchange to date, 13 have filed to offer group insurance and 14 have filed to offer individual insurance, with most carriers intending to offer group and individual plans when the exchange begins operating in October 2013.